The history of CBSé started in 1978. By that time the founders decided to bring a new product to the market, a combination of Yerba Mate and mountain herbs: the first combined yerba mate in Argentina. The company started as a small family project with a factory and a warehouse in Santa Fe. Then it started to spread and nowadays they have millings in the provinces of Misiones, San Juan and they stock in Córdoba and La Rioja. 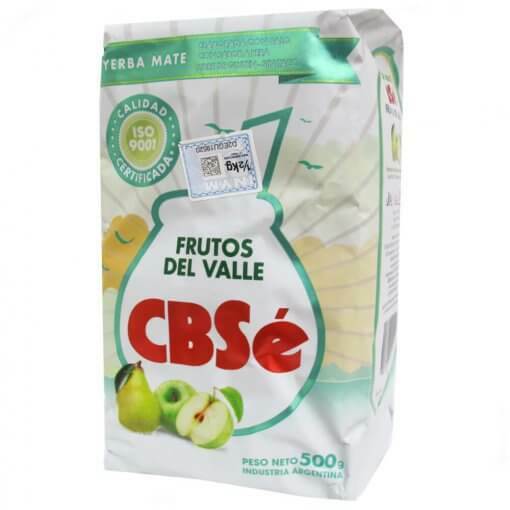 CBSé Frutos del valle belongs to the CBSé Gourmet line and it’s a very delicious yerba with natural pear- and apple aroma. Ideal for enjoying the traditional yerba mate as for the tereré. Ingredients: yerba mate 99,7%, natural flavoring (pear), aroma flavoring (apple).